Imagine a place that houses all your favorite savory Thai and chicken gravies, cooked in coconut milk or beef cooked in oyster sauce that pulls off easily. Have that with some special pad Thai gong noodles with prawns, and you have a complete and happy meal. Of course, you can keep adding more sides like nuggets, soups and other seafood assortments like tandoori fish or simple fish and chips or you can always go crazy and not order anything Thai and instead simply get a penne pasta or a southwestern steak beef. How did we switch gear so fast? Simple…we went to Lung Fung restaurant in Lahore that serves all of this. So in case you go to Lung Fung for Thai food but end up changing your mind, you don’t have to change the restaurant. Because their menu has got great alternatives that are hard to resist. Of course, we understand when sometimes you’ve got friends or company or a simple office lunch where you really can’t go out and eat. Instead, you’re stuck with ordering in. 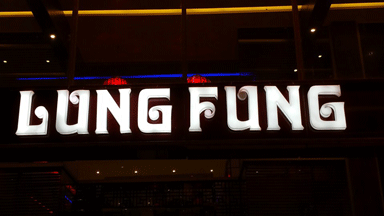 And while you may fight with your friends as to whether you should all eat Thai or steak, Lung Fung has you covered. So while you enjoy a creamy chicken enchilada from Lung Fung, your friends can enjoy a Pad Thai Kai (special noodles with chicken), all roofed under one place. And leave the rest to Cheetay. We deliver from all over Lahore to all over Lahore. Wherever you are, Cheetay will serve you while your meal is still hot. And with the user-friendly Cheetay app, ordering food is even easier. So download the app now and be served by the fastest food delivery service in Lahore.